A few weeks ago I was sent some absolutely gorgeous accessories from Talullah Tu, a UK based costume jewellery website. As soon as I saw the pieces on their website, I fell in love. When they asked me to choose which ones I would like, I couldn't pick...I love all their stuff! The only things that didn't excite me as much were the skull accessories, as that's just not my style. But everything else is really beautiful. I had never seen such good quality statement jewellery before aside from high-end designer pieces and was happy to find that Talullah Tu's prices are extremely reasonable. I was sent four pairs of earrings and one necklace, all of which I'm very pleased with. Everything suits my style perfectly as I love to wear simple, classic clothing and play around with costume jewellery and statement accessories. These are the earrings I ended up wearing with my outfit today. I love how big, yet weightless these are. They don't make me feel like I'm wearing something huge and can dress up any outfit. These Jewel Lace Statement Earrings are in the style of Prada, and cost £16. 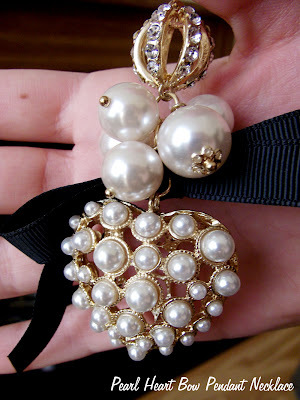 This Pearl Heart Bow Pendant Necklace is so pretty and unique. It costs £18 and comes down to just below my bust. I think this is the perfect length for long necklaces! I prefer this look without earrings as I think the necklace is statement enough on its own. The Gold Coin Charm Earrings are in the style of YSL and are £16. One of these actually arrived tangled up even though they were so carefully packed in individual plastic bags, and it took me forever to figure out what it was supposed to look like, ha ha! I definitely recommend storing these carefully as they tangle quite easily. 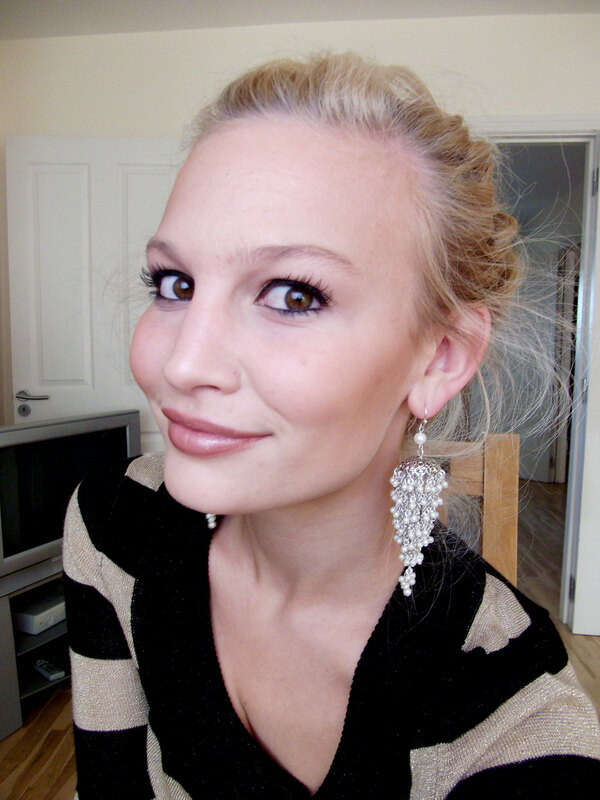 The Lucille Jewel Statement Earrings are £32 and are one of my favourite styles. These look heavy but they're really not at all. You can get them in a variety of different colours and look so chic with a simple outfit. These beautiful Silver Pearl Statement Chandelier Earrings are £24. These would look great with a navy blue dress/outfit or grey or even black! So let me know, which was your favourite piece? And do you like the style of Talullah Tu accessories? I certainly do, and am so grateful and happy to have been sent these items. Let me know what you think and what your jewellery/accessories style is! Disclaimer: I was kindly sent these items for reviewing purposes. I was not paid to write this review and this is my honest opinion, as always. Loved the selection and will be checking out the website a little later, the first ones were my favourite though!! Was wondering where you got your lovely striped top from? I'm a sucker for stripes! Love thir piecs :) Great choices! They're all so pretty, esp. the 3rd and 4th b/c I think those really big earrings suit you so well. And they definitely look very nice quality for their price! @Anne Yes, I absolutely love the Lucille earrings and they have different colours on the website too! They do deliver to the US but shipping is more expensive, £8.95 I believe. @Marisa I love them too, they're so detailed! @Chloe Mia Yes, they're gorgeous! @Elsie Thanks! I got it from H&M though it was about 3 years ago! @PleaseDoNotFeedTheAnimals Thank you! Those were the ones I wore yesterday :) Love your blog! I love Talullah Tu jewellery! Oh my gosh, what an amazing collection! Everything you showed us I want!! So going to check out their website! Oh, and sweetie, have you input your city information in at LOCATION CENTRAL yet? OH.EMM.GEEEE!! Is what I've been saying through out this post!!.LOL!! I'm in loooooove with each pair of earrings! They're amazing and you look gorgeous. 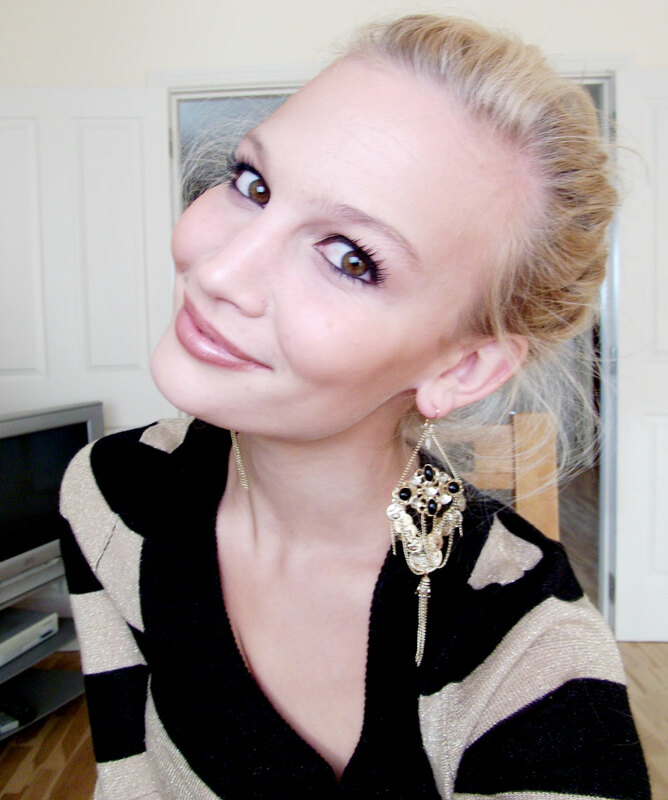 Earrings are my MOST worn accessory! I lay in bed in PJ's but will almost always still have my BIG earrings on..lol! LOVE LOVE!! I am a sucker for earings. Before i even got into make-up! I adore these, beautiful choice and great blog! @Jennifer and Anonymous Wow, I did not know that, thanks! @Jen I tried but I don't think Ireland's on there yet! @Miss Cupcake Ha ha ha! I can totally picture that :) Thank you! 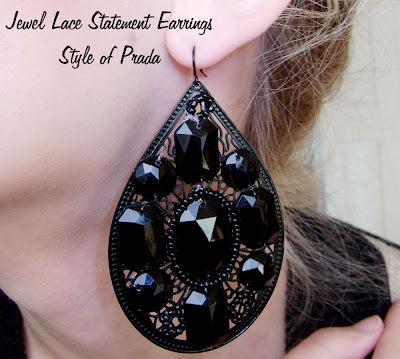 @Rositanegra Me too, I've always loved big earrings! Thanks! 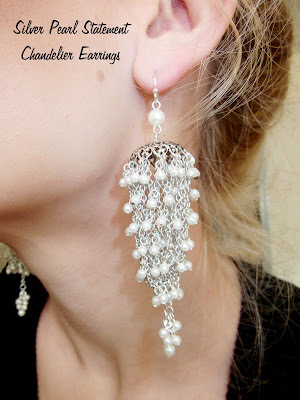 Nothing but gorgeous jewelry in this post! I love that everything is neutral so that you can pair it with anything (or if you're me, with your neutral clothing :D). The Lucille earrings are especially beautiful!